For take out orders call 316-260-1486. "Where a taste of Louisiana comes to Wichita"
Da' Cajun Shak restaurant is family owned and operated by the Granger family, who moved to Wichita 12 years ago. The Grangers have over 130 years of food service experience. Da' Cajun Shak is a place where you leave your tie and troubles at the door. 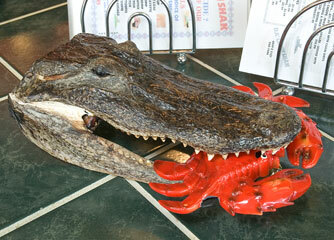 Not only will you enjoy a great authentic Cajun meal, you will enjoy the feeling of being in Louisiana. So like we say back home in Louisiana, "Come on over and pass a good time." And many more. Lunch specials daily.